Mike grew up in a military family that lived all over the world. He went to Ole Miss to play football and to major in biology and chemistry. At Ole Miss, Mike met the Lord and his wife Connie through Campus Crusade(Cru.). He was discipled by the director of the ministry there and challenged to go on staff with Athletes in Action (AIA) where he served for 12 years. Mike first came to Christ Covenant in 1993 as Pastor of Singles and Local Outreach. In 2000 the Millers were called to plant a new church in Jupiter, Florida, where they served for 11 years until returning to Christ Covenant to take Mike’s current ministry responsibilities. Mike was able to pursue his MDiv degree at the RTS campuses in both Charlotte and Orlando. He was ordained as a Teaching Elder in 2006 by the PCA’s South Florida Presbytery. 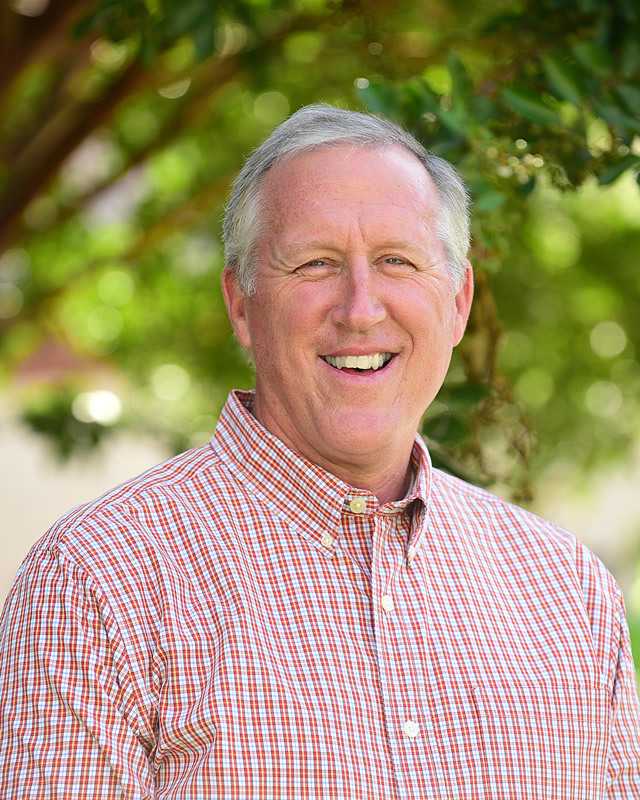 Mike’s range of ministry responsibilities includes pastoring the Sojourners Community of baby boomers whose children are in college or beginning their careers. His knowledge of these areas, from the pastoral challenges of congregational care, to mercy and justice outreach, ministry on college campuses, to the challenges of missions on every continent as well as our own region with its diverse needs is invaluable. God continues to equip him for Christ Covenant’s growth as he trains leaders in our congregation, mentors our church planters and encourages our missionaries. He also serves on the Presbytery Missions Committee and on a new church planting commission team of Redeemer PCA in the Sand Hills area. Connie and Mike truly love to travel and serve together as they minister to younger pastors and their families and individuals they are connected to around the world. Mike’s relaxation is work — on cars or doing projects in the house or woodworking. He and Connie enjoy the outdoors and as much family time as they can get, plus watching college football. Mike and Connie have three adult children: Mary Sha is a nurse living in Nashville; Catie is a public school teacher in the local school district; son Mike and his wife Megan live in Tuscaloosa, AL where Mike is a graduate assistant football coach at Alabama.